It’s been almost two months since my last daily carry post. As can be seen below there are a couple of changes from the last time. 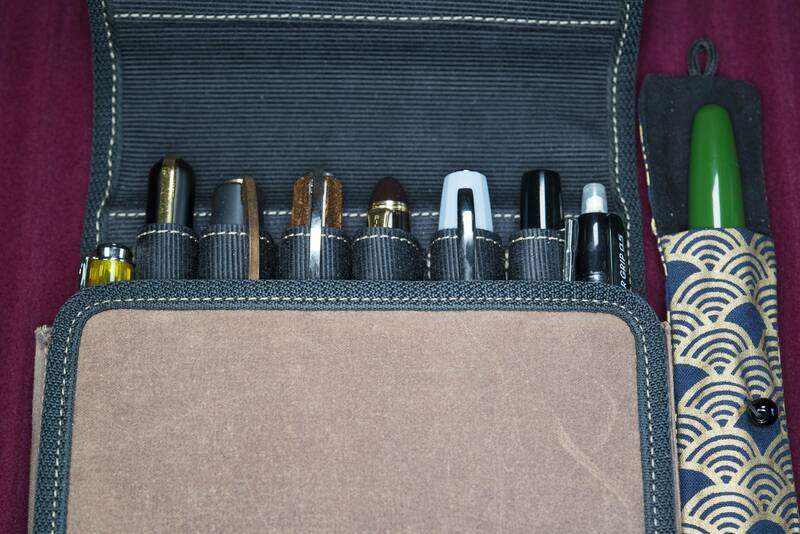 I am still using the Franklin Christoph Penvelope 6, to carry my pens though as can be seen, a silk kimono/pen sleeve has been added and is tucked in to the top so the flap keeps it in place. 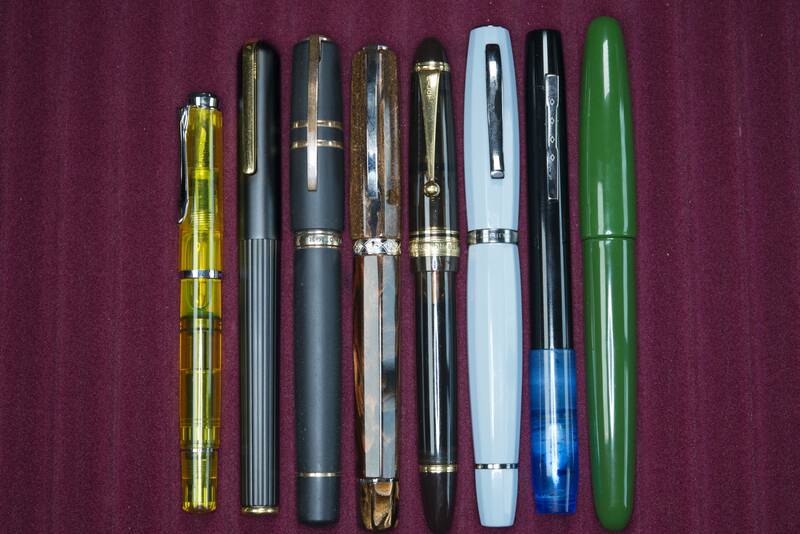 So much for trying to limit the number of pens carried. Pelikan M205 Duo with double broad nib steel nib. 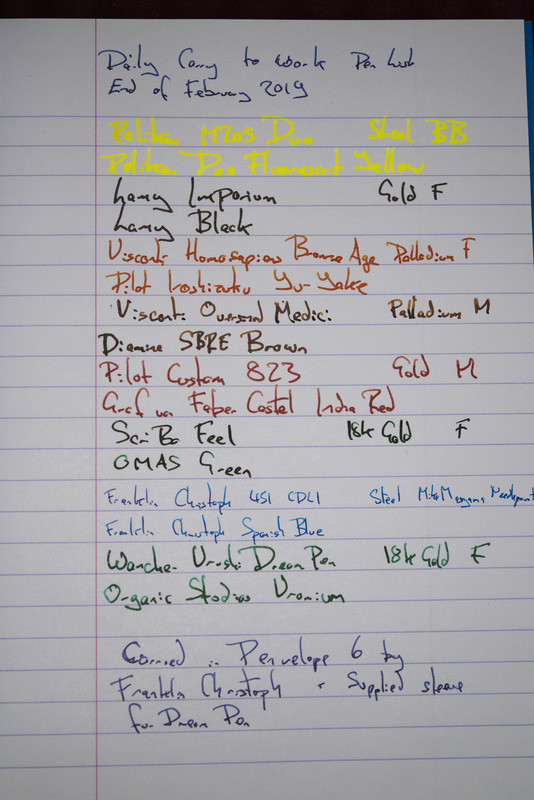 Lamy Imporium with fine 14k gold nib. Visconti Homosapiens Bronze Age Oversized with fine palladium nib. Pilot Custom 823 with medium gold nib. Franklin Christoph 451 CDLI with Mike Masumyama needlepoint grind steel nib. Out went the Powerful Signature. This was swapped for the ScriBo Feel. The original reason was I wanted to use the Feel as a daily writer for four weeks before reviewing it and I had a habit of grabbing the Powerful Signature pen each time. Since then the Feel has been left in as I do enjoy using it. 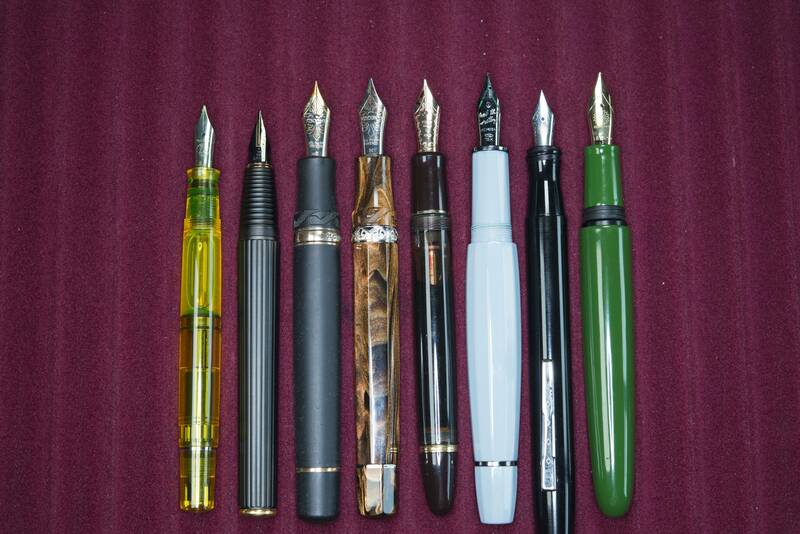 Out also went the the Pilot Custom 823 FA to be replaced by the Visconti Medici Oversized. 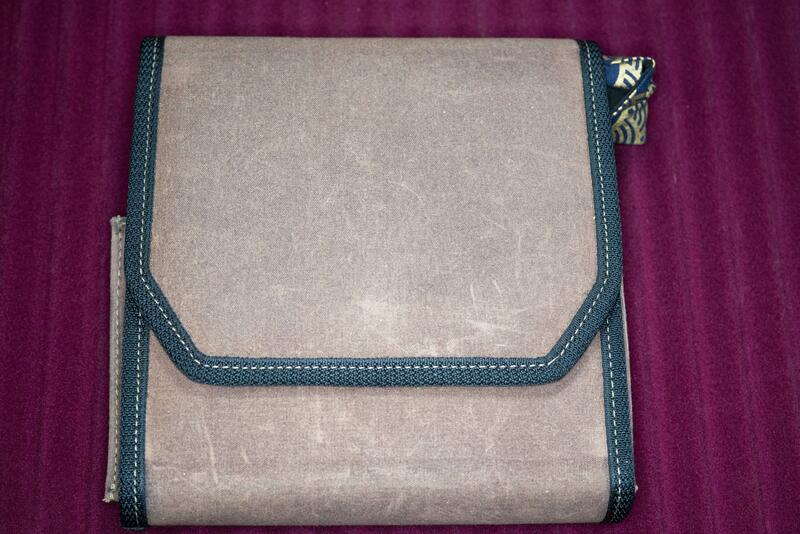 The latter I bought second hand and love the material. As they both were loaded with the same ink and I wanted to use the new pen, it was a natural swap. The addition of the Wancher Dream Pen urushi version. It has finally arrived, six months after originally promised in the Kickstarter campaign, and now needs to be put through it’s paces. So far I’m impressed.